Wait a year. Believe it or not, it can take a normal young couple up to 12 months to get pregnant. "We usually recommend patients in their 20s and early 30s try to conceive or at least not use birth control for 12 months [before coming in to see us]," says Dr. William Schoolcraft, founder and medical director of the Colorado Center for Reproductive Medicine. Conception is a delicate dance of sperm and egg, so it's not a guarantee even if you're timing things right. Wait six months. After 35, a woman is labeled "advanced maternal age." Even though that term makes us cringe—since when is 35 old?? ?—the chances of conceiving start dipping around that age. "A woman's egg supply decreases over time, particularly after age 35," says Dr. Marcy F. Maguire, MD, FACOG, Reproductive Medicine Associates of New Jersey. If you haven't conceived after half a year, see a fertility specialist called a reproductive endocrinologist (RE). Right away. After 40, a woman's eggs drop in quality as well as quantity, so not only are the chances of conceiving fewer, but the risk for miscarriage is greater. "At the age of 40, about 50% of a woman's embryos contain an abnormal number of chromosomes," Dr. Maguire says. Women in their forties are more likely to need fertility treatments, so talk to an RE soon after you begin trying. 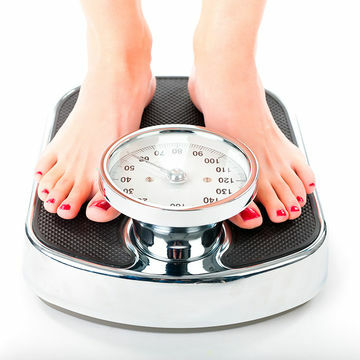 Before you start trying Your weight can impact the reproductive functions and the hormonal balance of your body. "Women with a BMI [body mass index] under 18 or over 30 may be at higher risk for infertility and also complications during pregnancy," Dr. Maguire says. Check your BMI using this calculator: if you're underweight or overweight, it's worth talking to your doctor about how to achieve a better BMI for your overall health even before you try to conceive; although it may be possible for you to get pregnant if you're ovulating regularly. Right away. Your thyroid is tied into your hormones, so if it's out of whack it may impact your chances of conceiving and having a healthy pregnancy. "Abnormal thyroid function may be associated with infertility, miscarriage, and abnormalities of fetal brain development," Dr. Maguire says. If you suspect thyroid issues, see a doctor right away; but if it's already being monitored and regulated with medications, it should be a nonissue. Right away. "Women with known issues, such as polycystic ovary syndrome (PCOS) or endometriosis, should be evaluated as soon as they begin attempting pregnancy," Dr. Maguire says. Dr. Schoolcraft agrees: "Waiting 6 to 12 months is not always productive in such cases," he says. Many women with PCOS don't ovulate, so you'll need medications to help jump-start it. Endometriosis is trickier—it could result in blocked fallopian tubes, diminished ovarian reserve or nothing at all depending on its severity, which a fertility checkup can determine. Right away. An absence of periods, irregular cycles or pelvic pain could be an indication that you have an undiagnosed fertility issue. If you have any of these symptoms, see a specialist ASAP. Right away. It's time to have a fertility workup if you've had a couple of positive pregnancy tests but no baby. "Anatomic problems with the uterus, such as a uterine septum or scar tissue can cause pregnancy loss," Dr. Maguire says. "Abnormalities of thyroid function, a genetic issue called chromosomal translocation, and issues related to blood clotting may also be linked with recurrent miscarriage." An RE can run tests to find out where the problem lies, and Dr. Alan Copperman, M.D., at Reproductive Medicine Associates of New York, says that "the prognosis for couples who suffer from recurrent miscarriages is quite favorable." Right away. See an RE to discuss how any serious health issues you've had may impact your chances of getting pregnant. "Patients with chronic medical conditions like hypertension, diabetes, heart or kidney disease should see a fertility specialist sooner to discuss their chance of pregnancy and to plan for a safe pregnancy," Dr. Schoolcraft says. Cancer survivors should also have a fertility workup. "Chemotherapy can affect sperm production and a woman's egg supply, even if she has recovered and has normal periods," says Dr. Lorna Marshall of Pacific NW Fertility in Seattle. As soon as possible. 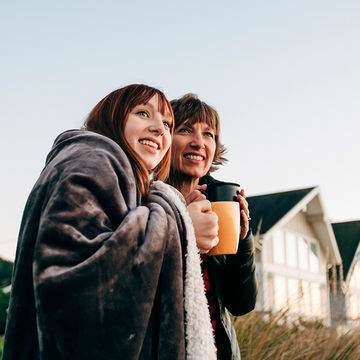 "A family history of early menopause, before the age of 40, in a mother or sister may be an indicator that your fertility may also decline at an earlier than expected age," says Dr. Sheeva Talebian, Reproductive Medicine Associates of New York. If you're still ovulating regularly, you may be able to achieve pregnancy on your own, but it's best not to delay seeing an RE. A simple blood test and ultrasound can show how your supply of eggs is doing.